Selectmen abruptly placed the town council on aging director on paid leave three weeks ago. Following the recent dustup over a special fuel assistance fund at the council on aging, Oak Bluffs is taking steps to clarify procedures for outside donations to the town. Council director Roger Wey remains on paid administrative leave after the discovery of a fund affiliated with the town that was being handled outside the town treasury. A police investigation requested by the selectmen into the council on aging’s finances has had no outcome. The fuel assistance fund was created to provide help to citizens who need money to pay for fuel and other emergency needs. Referred to as the Quilt Fund for Fuel Assistance, it was originally set up as a town account to receive proceeds from the sale of quilts made by volunteers at the senior center. Mr. Wey said the original account was under town control, but on the advice of the late former town accountant Paul Manzi, its use was discontinued and a new fuel assistance fund was set up under the personal control of one of the quilters who founded the program. The town account was kept open with a balance of $300 but left dormant. The issue came to light three weeks ago when confusion surfaced over a check that had been written from the private account for a town resident in need. 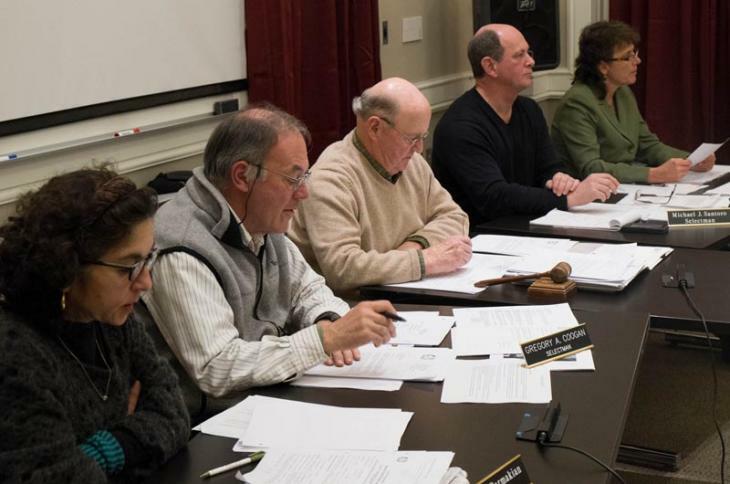 Now the town is enforcing a process where all gifts to town departments go before the selectmen for official acceptance, and are logged onto the town financial books, as state law mandates. He said the protocol had not been followed for several years. Last week library director Sondra Murphy asked selectmen to accept slightly more than $9,000 in donations. These had already been properly deposited in the town treasury, town administrator Robert Whritenour said. “The big thing is to get it into the town’s books, so you aren’t putting it in a private account,” he said. Late last week the police department investigation into the council on aging matter had produced no report. Rose Cogliano, assistant director of the council on aging, has been filling in for Mr. Wey. When does the witch hunt end? Seems like a lot of behind the scenes maneuvering by the cockroaches to legitimize the tarnishing of an innocent man's reputation.